​WHAT DO Oromo people LEARN FROM Kikuyu community OF KENYA? 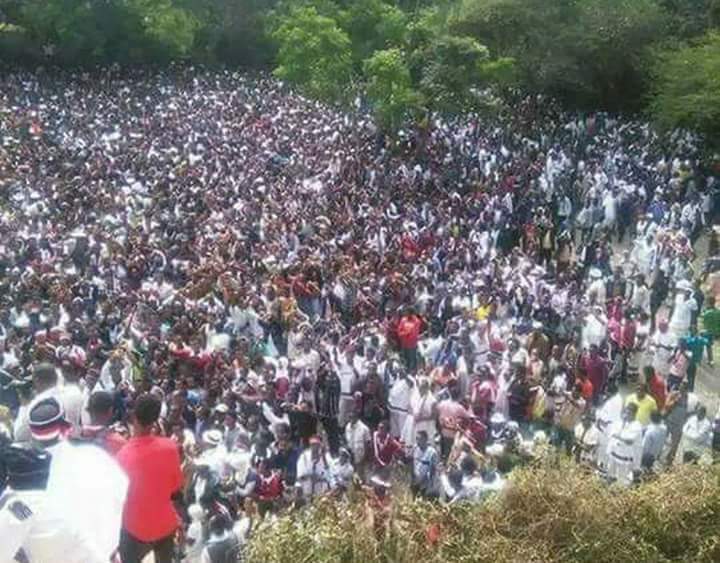 What do the Oromo people in general, the Oromo vibrant youths (the Qarree and the Qeerroo) in particular learn from the Kikuyu community and give meticulous attention at this time? Kikuyu are the largest most populous ethnic groups of our neighboring Kenya estimated to around 7 million according to 2009 Kenya population and housing census. Oromo are also the largest ethnic group of Ethiopia estimated to more than 40 million. There are significant similarities and differences between these two majority communities living in the neighboring countries of Kenyan and Ethiopia. Kikuyu community is politically dominant, socially organized, economically advanced and living a communal well solid social life. However, the Oromo people being the largest nation of East Africa were socially segregated, economically marginalized, politically excluded in Ethiopia by the present and past successive leaders. The Oromo people can learn a lot from the Kikuyu majority ethnic groups of Kenya that dominated socio-political and economy of Kenya at large. Not only land is significant in that it is the basic source of subsistence for most African people; but also it is the basic and necessary factor in their socio-cultural systems. For instance among the Oromo community of Ethiopia in addition to farming their land, it is basic to sustain their cattle and livestock. Similarly in the Kikuyu community of Kenya, the sheep and goats perform a very significant socio-cultural function. That function would be well nigh impossible if there were not sufficient land upon which the many sheep and goats possessed by the Kikuyu could graze. Consequently, any significant loss of land by the Oromo or Kikuyu people of Ethiopia and Kenya in addition to threatening the basic means of subsistence would threaten their agricultural economy. For Kikuyu community of Kenya similar to the Oromo people of Ethiopia, land is everything. Possession of land is one of the foundations of Kikuyu tribe’s social, religious and economic life. In the culture of both Oromo and Kikuyu community selling land is prohibited. Land is seen as owned by the whole community than individuals. It is the communal property. As a result you cannot do anything you want without the awareness of the community to a land given to you. According to Oromo community also, land can be given to the landless, the displaced and the kinship. This will happen if and only if the person in need of the land is seen and proved vulnerable. Especially Kikuyu community will never sell away their land to other ethnic groups or foreigners. An Oromo Federalist Congress, an opposition party senior leader Bekele Gerba once said “our land is our bone, we shall not be evicted” during the Oromo farmers forceful eviction from their land (aka controversial Master Plan) proposed by the Ethiopian government. This proves the value that the Oromo have for its ancestral land. Kikuyu community similar to Oromo who reside surrounding the capital Finfinne (aka Addis Ababa) are inhibiting around the central region of Kenya surrounding some side of the capital Nairobi. This enabled the Kikuyu community to control the economy, business, agriculture and politics. Kikuyu community advantaged from residing closer and within the capital where by the Oromo people were suffered, evicted, displaced and impoverished intentionally by the Ethiopia successive regimes. Contrary to Kikuyu people who dominated the politique of the country, the Oromo community of Ethiopia are marginalized, displaced and disowned their fathers land within and surrounding Finfinne. Despite being the majority, the Oromo people are disadvantaged in all aspects in Ethiopia. The role played by Kikuyu ethnic group in formation of the today’s Kenya is paramount. Oromo people had also great contribution in shaping and existence of today’s Ethiopia. Jawar Mohamed an Oromo activist and Oromia Media Network director once said on Aljazeera ‘The Stream’ program; “I am an Oromo first and Ethiopia was imposed on me”. This is what is in the heart and mind of all Oromo youths today. They have never seen themselves as an Ethiopian where by the Kikuyu youths proud of being a Kenyan. Being the majority, the Oromo people have never got a fair share in economy, governance and politics of the state. They were marginalized, suppressed, exploited and oppressed. It was Kikuyu ethnic group that made political association against the British colonizers that sparked the infamous Mau Mau uprising in 1950’s. It is this uprising that led Kenya to win its independence in 1963. The contribution of other ethnic groups to Kenya independence will never also be neglected. From the time of Kenya’s first president ‘mzee’ (respected elder) Kenyatta till today, the Kikuyu people has played a dominant role in Kenya politics and commerce. The likes of Dedan Kimathi the leader of Mau Mau uprising contributed equivalent to General Tadese Biru movement of an Oromo. However, when Dedan’s bravery struggle took Kenya steps forward to freedom, the blood and bone of Tadese and other Oromo martyrs failed to bear a fruit. The then British government colonizers saw Dedan as terrorist similar to Tesfahun Chemeda by the today’s Ethiopian regime. In fact the lack of self-rule and self-determination by the Oromo people, the biased and unfair approaches of the successive Ethiopia regimes towards this majority community complicated the problem of this nation and weaken the Oromo people for further exploitation. However, the majority Kikuyu community became advantageous after independence as the first leader of Kenya, ‘mzee’ Kenyatta came from Kikuyu tribe. Relative to Ethiopia atses’ (kings) who had been ruling Ethiopia through kingship, president Jomo Kenyatta brought better cohesion, unity and development to Kenya diverse community. Majority rule and minority right of democracy as a result failed in Finfine and became successful in Nairobi. ‘Chama’ is a Kiswahili word meaning party or group. The word symbolizes from a team of small group of people to big political parties. Specifically chama is most common and practical in Kikuyu community. From slums to state house, the Kikuyu community takes part in chama of different type. Chamas in Kikuyu community help them to support each other, sensitization and different and timely information dissemination. It is a means through which they succeed in life. As a chama group they can own different businesses, transport vehicles, garages, buildings, supermarkets, banks and different properties. Chamas in this community are made not only for financial and social assistance but also for political mobilization and campaigns, community sensitization, information dissemination and others. Beyond that, chamas created by the Kikuyu people at different level are very solid, sometimes underground and difficult to penetrate by other communities and foreigners. If you are not from Kikuyu community, at least you should get married to a Kikuyu family to join their chamas. Chama members are mainly made within Kikuyu neighborhoods, farmers, large and small business owners, politicians and other section of the community. Both male and female of this community usually must be the member of chamas. These chamas have rules and regulation and also abide by the laws set by the chama members. They are also sometimes secretive. Chama play a big role for political and election campaigns in Kikuyu community. During such events the chama as a team decide whom to vote, how to campaign and what to do. They make sure that each and every individual in Kikuyu community above the age of 18 years will take part in voting their local, county and national leaders in Kenya. Members of chamas may not be politicians but took part in underground political campaign door-to-door. They will influence each other and decide whom to choose as their leaders. They can for instance shut down bars and hotels on election days so that a drunker and street people will turn out for voting. Chamas can also organize vehicles to pick patients and old people to the polling stations to cast their ballot. For the Kikuyu community, one vote matters. During voter registration, the chamas will make sure that every member of their community will get registered to vote. They want to always remain winners in what they believe. Relative to other Kenyan communities, they are people of action than words. Chama members must abide the rules set otherwise seriously penalized. For instance, a nullified August 8, 2017 general election, the Wife of the current President Uhuru Kenyatta queued like other ordinary Kenyan women and casted her vote. The first lady woke up and joined other women on line to exercise her right voting as a citizen. Kikuyu men and women, big and small, politicians and businessmen, think and act similar when it comes to benefiting their community. They will song the same song for the effectiveness of their objective. Kikuyu community also hastily unites to fight their common enemy. Once completed their mission, they will forget it and focus on their business, agriculture and daily life activity. That is how Kikuyu community remains dominant in economic, social, political and commerce in Kenya. The Oromo youths who are the makers and owners of the #Oromoprotests should know how to maneuver like Chamas of Kikuyu community. To bore fruit to their ultimate sacrifice, they should make their foundation concrete and organized formidable structures. The structures should be unmovable and untouchable by unwanted internal and external movers. Similar to chamas of Kikuyu community, #Oromorevolution should able to participate different sections of the Oromo people. It should able to garner the voice and the energy of farmers, laborers, students, lecturers, doctors, guards, soldiers, workers, politicians, activists and other sections of the Oromo society. That should able to encompass and stretch from Kaliti prison as the grassroots in an organized manner up to the palace at Arat Kilo. They should all listen to each other and take instructions as provided. The Oromo youths should make underground chamas that are vigilant to liberate the Oromo nation. These chamas should have head and tail. Any instruction from the head should shake the tail. The coordination and understanding between the two parts of one body can drain an ocean and reap seeds on that land. It can paralyze and finally relent the enemies to the mass. For easier success the Oromo Qeerroos should listen to elders, leaders and each other. Any part, party, section and Oromo individual with one voice and energy should target the common enemy. Our chama must able to be complete in all sorts. It should never move by emotional and evil deeds of individuals and groups. It should never manipulated by wrong information from social media and live self recorded speeches. It should be made on the knowledge of Oromummaa ground, guided by unity and lead the Oromo national resistance movement forward towards the common goal. The national Qeerroo and Qarree resistance movement should not be where we pay unnecessary sacrifices but bring a progress at that expense towards liberation. Fake games and corrupting the Oromo struggle should end now and today. It is time for the baby called Bilisummaa that has been nurtured, matured and grown in its mother’s womb at the expense of the life of the Oromo heroes and heroine to come to birth. Still its labor can be difficult and painful. To easy that Qeerroos and Qarrees should have solid and impenetrable chamas engaging. Experts like nurses, doctors and cultural midwifery of different skills should play their timely roles. For successful delivery, these groups of people should have required and fulfill better tools, experience and coordination. Previous Post ኢህአዴግን የማይቃወም የደርግ ደጋፊ ነው! 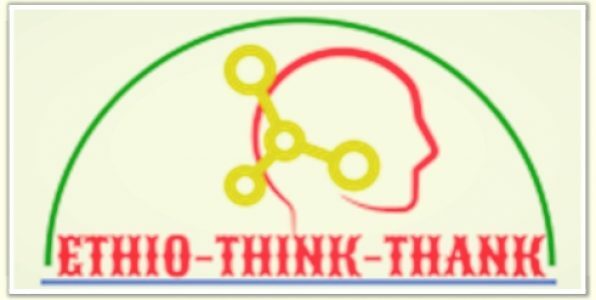 Next Post “በአሸባሪዎች ህግ” መብትና ነፃነት ወንጀል ነው! What a catchy comparison! Inevitably the Oromo Qerros and Qarres learn a lot from this article and take care for the conceived baby and let him/her born alive and healthy. This will end “the beautiful are not yet born” belief of Konjowochu/Serq. Da.